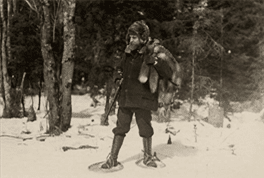 The Adirondack Museum will host an encampment of American Mountain Men interpreters on August 15 and 16, 2008. The [event is open to the public, but the encampment is by invitation only. Participants in the museum encampment are from the Brothers of the New York, Vermont, New Hampshire, and Massachusetts segment of the national American Mountain Men organization. 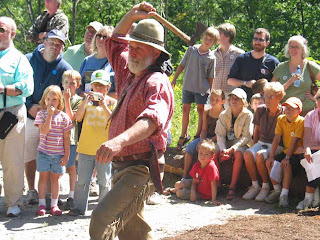 While at the Adirondack Museum the group will interpret the lives and times of traditional mountain men with colorful demonstrations and displays of shooting, tomahawk, and knife throwing, furs, fire starting and cooking, clothing of both eastern and western mountain styles, period firearms, and more. This year’s encampment will include blacksmithing and a beaver skinning demonstration. All of the American Mountain Men activities and demonstrations are included in the price of regular museum admission.